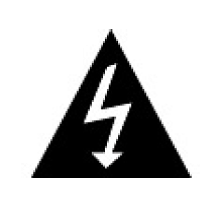 High Voltage Sign: Warns the user of the presence of uninsulated dangerous voltage within the product enclosure, which may be of sufficient magnitude to constitute a risk. 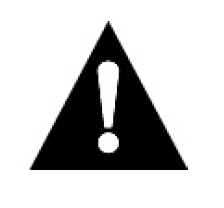 General Warning Sign: Warns the user of the presence of important operating and maintenance (servicing) instructions. Do not open the Air Unit or Ground Unit enclosures. There are no user-serviceable parts inside. Refer servicing to qualified service personnel only. The use of controls, adjustments or procedures other than those specified in this user guide may result in exposure to shock and/or electrical or mechanical hazards. Do not immerse the units in water. Do not block the air ventilation openings. Always disconnect a unit’s power by pulling the mains plug. Keep powered on units at least 20 cm away from your body. Do not expose the units to moisture or excessive heat. Unit operating temperature is 32–113⁰F or 0−45⁰C. Unplug the units during lightning storms and during long periods of storage. For CONNEX only: The provided power supply is for indoor use only. Use only the supplied accessories or those recommended on the AMIMON website. Accessories (including cables) must not be replaced, as this may affect performance or functionality, or damage the unit. We highly recommend that you use the provided AMIMON cables. If an alternate cable is used, make sure that it is of the highest quality. Do not use the product if there is any physical damage to the enclosure. For CONNEX only: It is normal for the product to become slightly hot during use. However, if the enclosure’s temperature becomes too hot to touch, turn the product off and contact support. The internal fan of the Air Unit (transmitter) should work at all times when power is on. Do not let the product come into contact with corrosive materials. Do not let the product come into contact with fire.